Speed performance rating: Class 6. Minimum data transfer rate of 6MB/ sec. 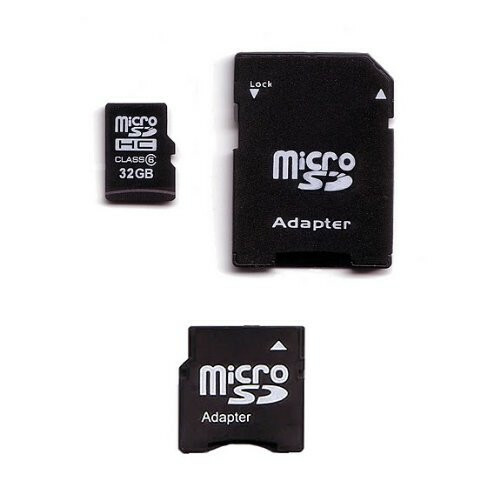 Built-in security enables users to download, store, and play secure content.~SD Adapter included.~Mini SD adapter included. Brand new Komputerbay memory card. Compliant with the SD Specification Version 2.00. Versatile - when combined with the adapter, can be used as a full-size SDHC card. 32GB storage for more music, videos, pictures, games, and applications. Compatible with microSDHC host devices; not compatible with standard microSD-enabled device/readers. Lifetime Warranty.